Spencer Trappist Ale is finally available by mail! The monks at St. Joseph's Abbey in Spencer, Massachusetts (famous for Trappist Preserves) recently founded the first certified Trappist brewery in the USA. Its flagship ale, Spencer Trappist Ale, is inspired by traditional refectory ales brewed by monks for their dinner table and usually available only at the monastery. More than 15 years ago, Monastery Greetings was chosen by the monks to handle fulfillment of mail orders for Trappist Preserves. 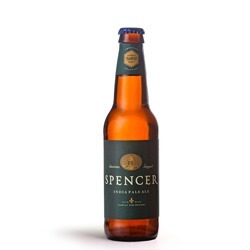 Now, we are thrilled to offer Spencer Trappist Ale by mail.